I graduated from University of Michigan with a DDS degree in 2007. I have worked in this area for over 5 years and that has given me a unique perspective in dealing with families in various walks of life. I come with lots of cultural flair having done my basic dentistry training and residency in India. 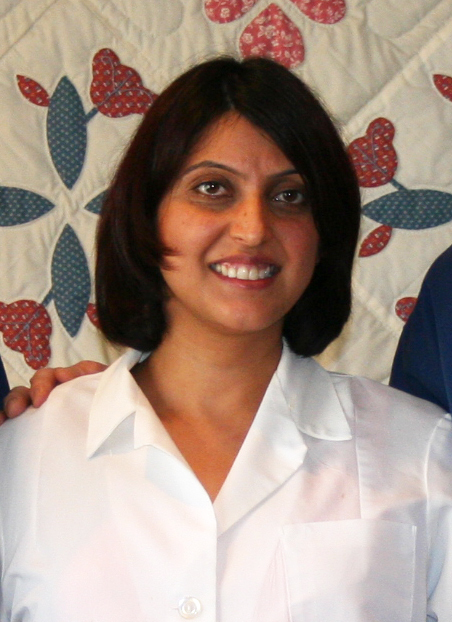 I am very passionate about dentistry and committed to providing the highest level of care for my patients. I am thrilled to be joining such an amazing dental family, and am very excited for the opportunity to serve the people here. I have taken various Continuing Education courses throughout the area to help me stay current with trends in dentistry. My husband, Rajat Arora is an avid cricket fan and has been a resident here for over 15 years. We have recently been blessed with a baby boy and are very excited with this new addition to our family. Bachelor in Dental Surgery, Dharwad India - 2001. Doctor of Dental Surgery, University of Michigan @ Ann Arbor - 2007.